A single modern silicon solar cell will produce between 2 and 3W of power depending on its size. This will equate to between 3 and 5 A at 0.6 V. In order to provide a usable current and voltage, groups of cells are connected both in series and in parallel. For example, 36 solar cells connected in series will provide an output of about 20 V, suitable for a battery charger designed to recharge a 12 V battery. For grid-connected applications, more cells are necessary. Typical units are designed to provide up to 200 W. The individual cells are normally mounted behind a glass protective barrier similar to a vehicle windscreen. The whole assembly is then encapsulated to protect it from the weather and framed with aluminium extrusions. Such assemblies are called solar panels. 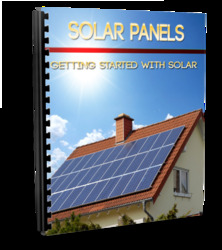 A solar panel provides a stable direct current output. If this is to form a part of a grid-connected solar power system, perhaps on the roof of a household, it must be converted to AC at the grid voltage. This is carried out by an inverter. 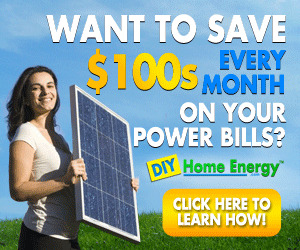 A typical household system will require a 2 kW inverter.